Last week I updated my Blogger site to be responsive and optimised the page load time. Whilst doing those optimisation, I was looking for a simple photo gallery to display the photos from my Flickr photo stream. 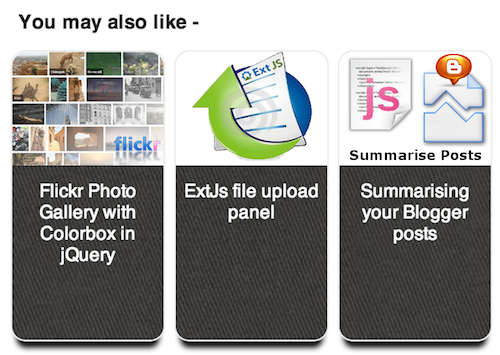 I've tried flickr sideshow, pictobrowser and slideflickr however I was not satisfied with them. 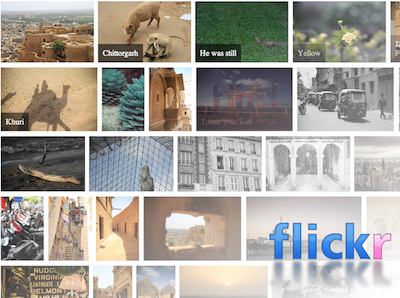 I then started to study the Flickr API and tried to make a Flickr-like justified layout for my photography page. 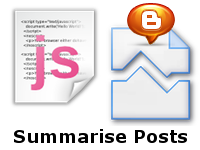 While trying to code the jQuery plugin, I found two great articles by Sam from Wackylabs.net and Miro Mannino. Miro explained how the layout could be done with a detailed illustrations but I decided to use Sam's algorithm to build my own jQuery plugin. After I published the article, I noticed that some posts on my home page went missing. I set the setting to display 8 posts per page for home page, categories, paging and search results. However the home page only displayed 5 posts and I was not very happy about it. So I went Blogger Help Forum to search for solutions. 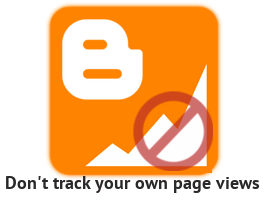 Voilà ~ The reason is that if one or more of your recent posts is/are too long/big, Blogger.com will cut down the number of the posts to display. The main reason is to enhance the loading speed. Well, fair enough but what should I do now? Divide the post to two or three parts? Mate, I'm not going to do it. So what then? It must be a way to fix it. So I started to search any possible solutions on Google again and found the term "Jump Break".